Troy Scott Smith comes from a family of naturalists. Growing up in the countryside of Yorkshire, he spent most of his time in the nearby dales seeking out the beautiful and the natural. He has enjoyed a remarkable career, most recently at Sissinghurst, where he has been leading the transformation and restoration of the Vita Sackville-West gardens. 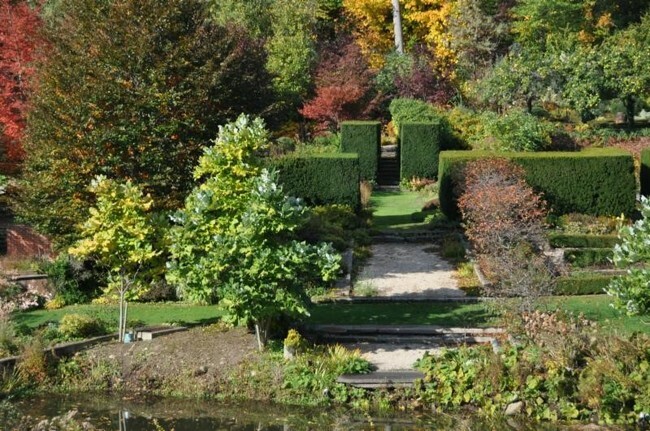 In this lecture Troy will take us on a journey that begins with the original plan and plantings, through the interventions of subsequent decades to the current vision and garden of today. Troy has spent his career developing a way of gardening that places beauty and romance first. 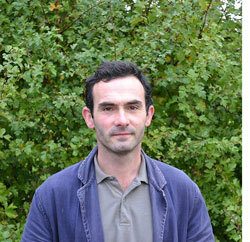 In July he will take up the position of Head Gardener at Iford Manor. 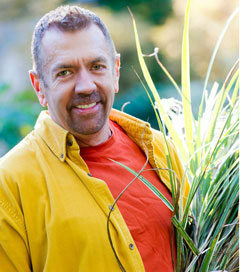 David Culp is the creator of the gardens at Brandywine Cottage, lecturer and vice president of Sunny Border Nursery. He developed the Brandywine Hybrid strain of hellebores and is recognized for his expertise on snowdrops. David believes that native plant meadows support many landscape purposes, from lawn alternatives on residential sites to larger scale, ecologically sound models that provide biodiverse habitats for a host of pollinators, birds and mammals. In his presentation, David will discuss the creation of low grass meadows where ecology and aesthetics meet and how the design, installation, and management of meadows complement the sites on which they exist. "My Life in Four Gardens"
Martha Stewart has been gardening since she was three years old, when she worked at her father's side in their Nutley, NJ, backyard garden. This early inspiration grew into a serious passion with the acquisition of Turkey Hill, a six-acre property in Westport, CT. Martha honed her gardening, restoring, decorating, and cooking skills here; work which soon became the foundation of her namesake company, Martha Stewart Living Omnimedia. Her current gardens reflect her expansive love of plants: a coastal retreat in East Hampton, a 153-acre farm in Bedford, NY, and a mountain landscape in Seal Harbor, ME. 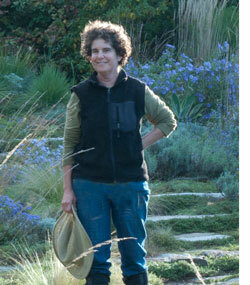 Martha will share lessons learned from the planning and planting of each of these gardens. "The Evolution of Chanticleer’s Gravel Garden"
Lisa Roper is the horticulturist for the Gravel Garden and Ruin at Chanticleer, where she has gardened for the past 28 years. Lisa holds a BFA from Cooper Union, where she studied photography and painting. She now photographs Chanticleer weekly for What’s in Bloom on their website. For the past six years Lisa has been developing the Gravel Garden, a gently sloping well drained south-facing site. Lisa will discuss how form, texture, color, and rhythm are carefully considered in plant selection. She will also cover planting techniques, the importance of editing, and the technique of using photography to inform her design decisions. The symposium will be moderated by Stephen Orr, editor-in-chief of Better Homes and Gardens and Hollister House Garden Advisory Board member. $750 Patron (strictly limited to 18); includes invitation to the speaker dinner on Friday evening at Hollister House Garden and reserved seating at the symposium ($200 of this is a contribution to Hollister House Garden). On Sunday, September 8, please also join us for a Garden Conservancy Open Day featuring private gardens in Litchfield County, including Hollister House Garden with the Sale of Rare and Unusual Plants. The plant sale will be open to the public at the garden. Learn more about Litchfield County Open Day.